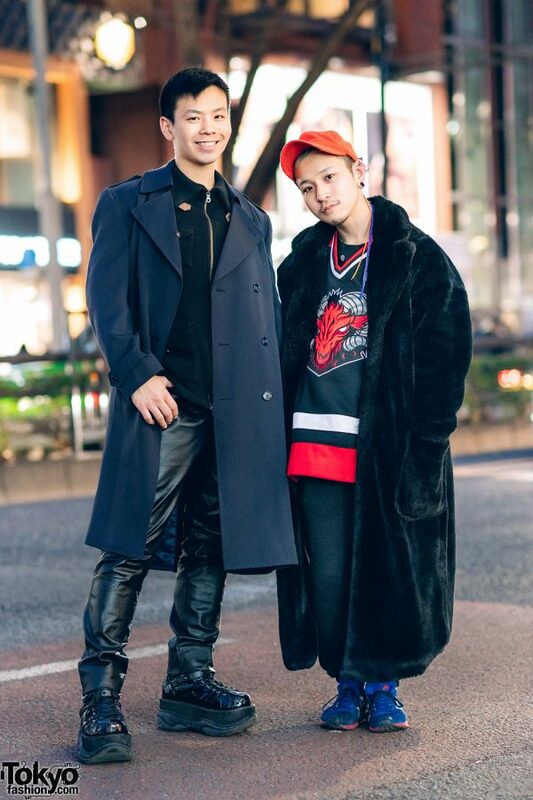 Here’s Kazushi and Gen-chan, two boylesque performers who we are always happy to see around the streets of Harajuku. 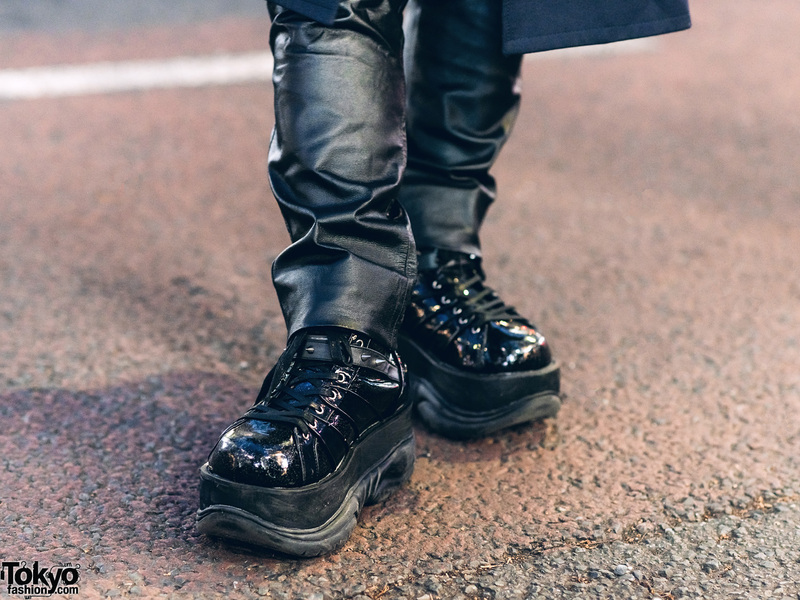 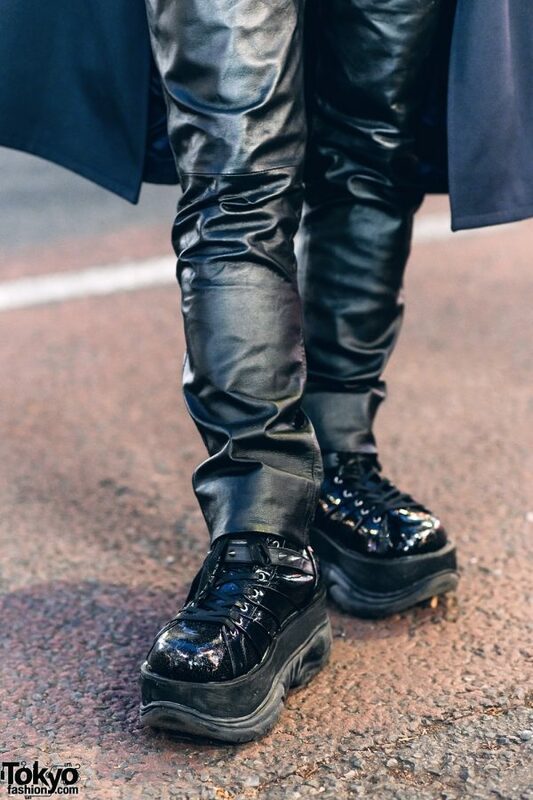 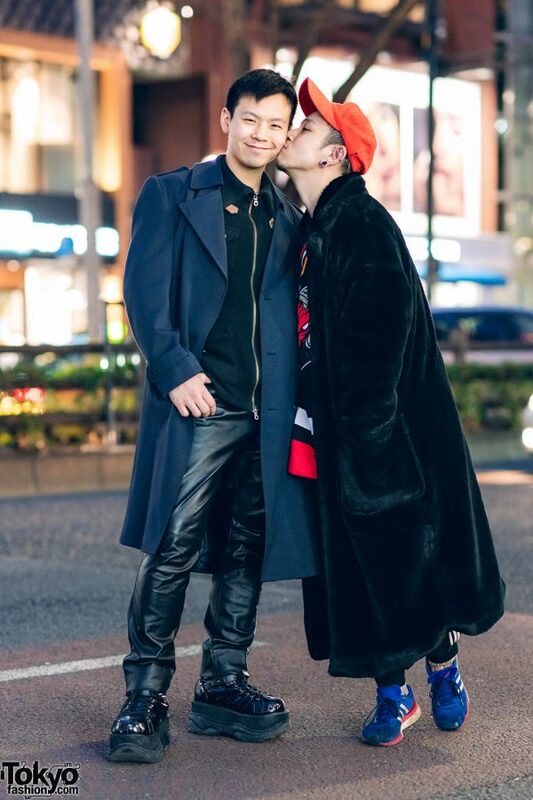 At the left is Kazushi, a patissier who is dressed in a long black trench coat from Smarty, which he styled with a black PPFM zip-up ribbed shirt, vintage black faux leather pants, and black patent leather glitter shoes from Demonia. 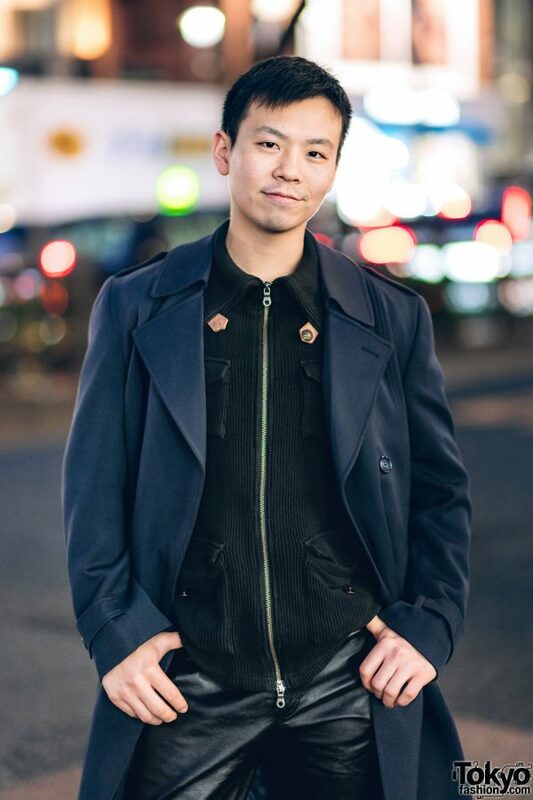 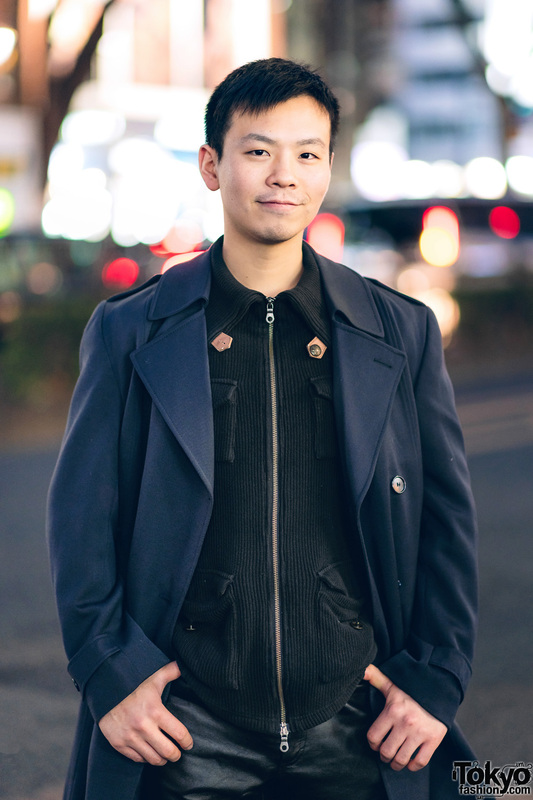 Kazushi loves to shop at Ikumi, and he is active on Twitter and Instagram. 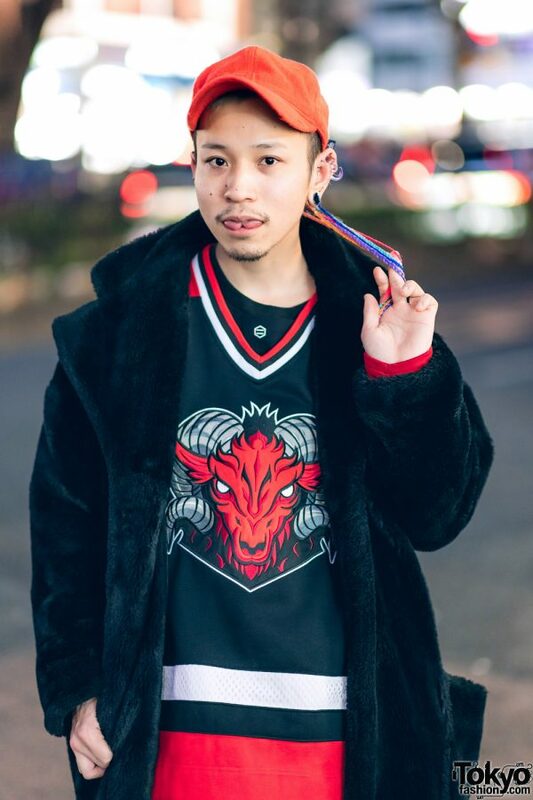 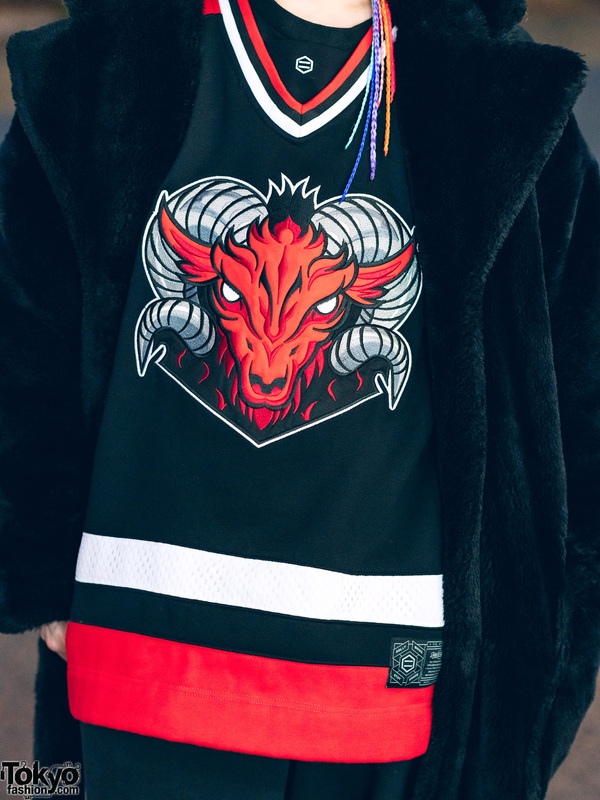 Meanwhile, Gen-chan – with colorful braids – stepped out in a black furry maxi coat from Ikumi, which he wore over a Dolly Noire black-and-red sports jersey and black jogger pants from Diddlediddle. 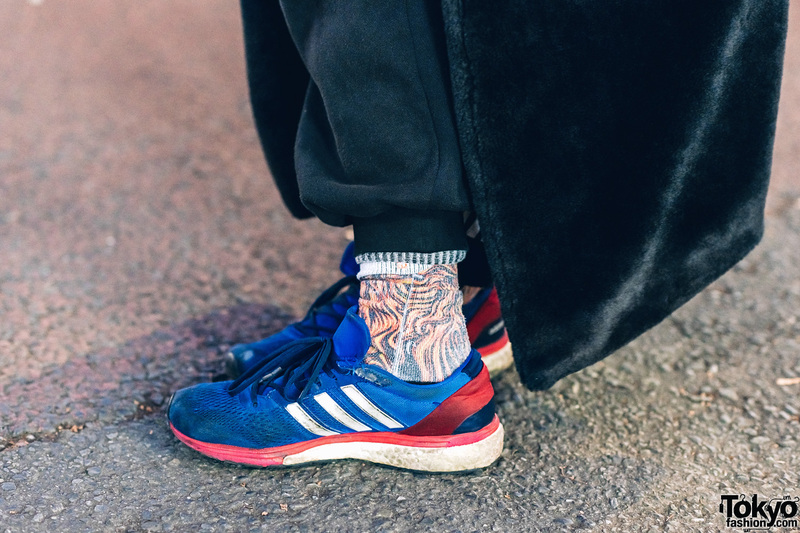 The performer finished off his style with blue Adidas sneakers, and accessories – from Anatometal – such as a red cap, a clear ear stud and gauged ears. 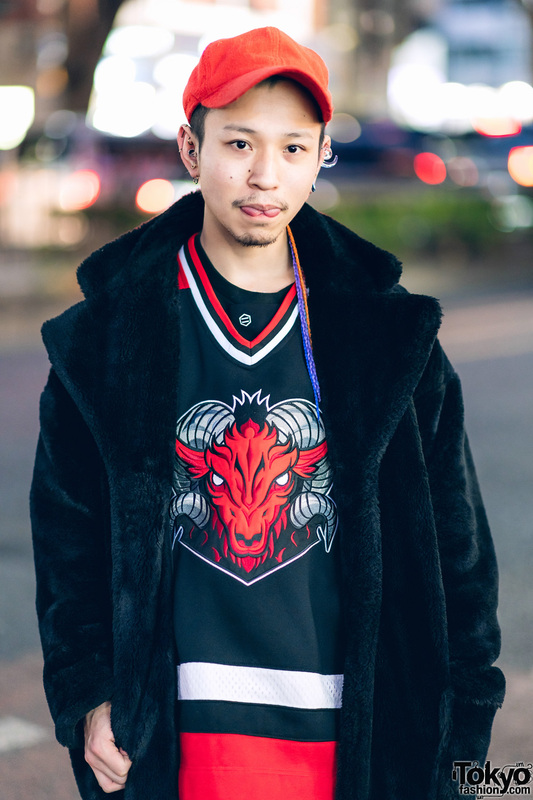 Gen-chan’s favorite fashion brand is Apt.335 New York, and he is also active on Instagram.